Benidorm, Spain is one of those places that seems to have simply sprung up between the crop-covered hills and coast of the Mediterranean. With high-rise hotels jutting up from the flat shoreline, this town is about as non-Spanish as you can get while still being in Spain. Sure, it still has the beautiful squares and old buildings, but around them are fish and chip shops and lobster-red tourists. Regardless, I still really liked the town. 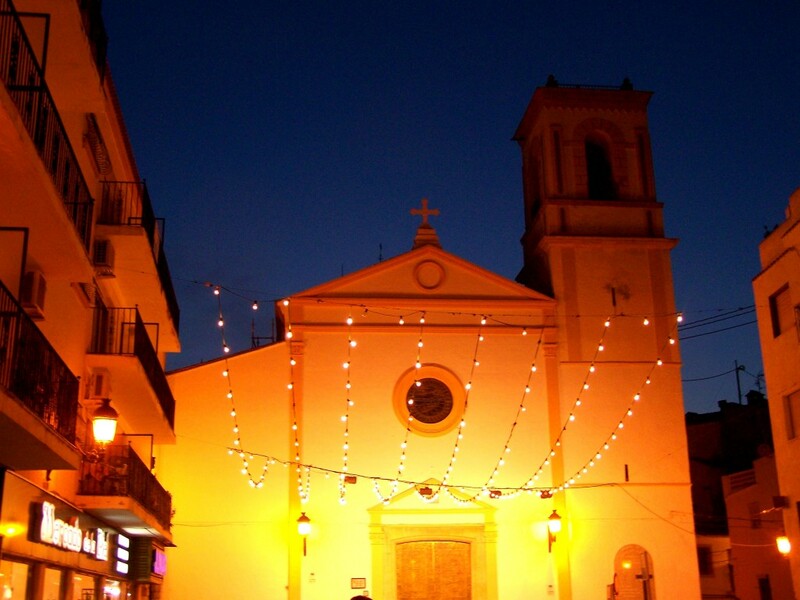 Especially at night, when separated a bit from the tourist enclave, there was real Spanish flavor complete with late-night dinners, well-lit squares and charming areas like this, outside of an old church. Pingback: Holiday Hype » Poll: What Do You Think of Benidorm?